The Royal Horticultural Society's garden at Wisley, is one of four gardens run by the Society, the others being Harlow Carr, Hyde Hall and Rosemoor. Wisley is the second most visited paid entry garden in the United Kingdom after the Royal Botanic Gardens. 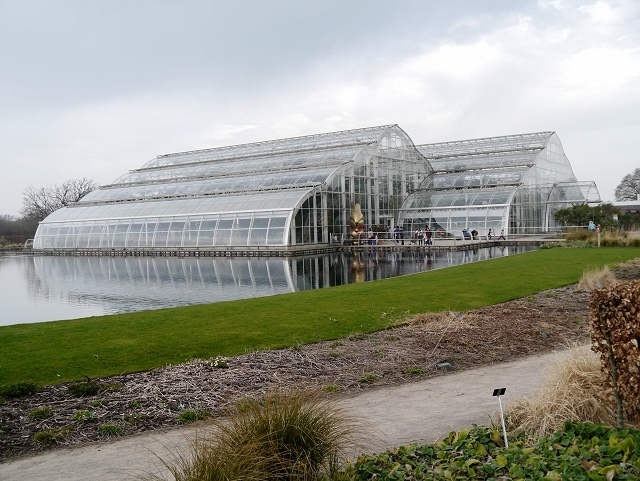 Wisley was founded by Victorian businessman and RHS member George Ferguson Wilson, who purchased a 60 acre site in 1878. He gifted the site to the RHS the following year. Since then Wisley has developed steadily and it is now is a large and diverse garden covering 240 acres. TQ0658 : RHS Garden Wisley An amateur gardener G.F.Wilson bought a derelict woodland estate here in 1878 and opened it up to rhododendrons etc. The resultant gardens were given in Trust to the Royal Horticultural Society on the death of their founder in 1902. They have expanded them to over 150 acres as the now world famous horticultural Wisley Gardens.